Flip turns, is there a legitimate reason you must do them? The short answer is no. As a professional triathlete, and adult onset swimmer, I do not believe you have to do flip turns. Despite this belief, I see coaches and peers always pressuring athletes to change. The main argument these people make is that you are not a "true swimmer" unless you flip turn. In reality, these people are very close-minded. The most important thing when it comes to swimming is to swim more. Not waste energy practicing a skill that is frankly not needed to be successful in triathlon. Now before I go on, I want to mention that I currently do open turns. 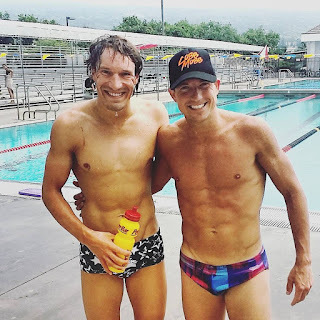 When I first started swimming with Ironman World Champion, Sebastian Kienle, he said in a thick German accent, "You know, you should really do flip-turns". Fast-forward, and Sebi doesn't care what I do. For the record, once upon a time I DID do flip turns, and occasionally I still throw one in for good measure, but I mainly do open turns. I should also state that I am an adult onset swimmer, who learned to swim after 25. 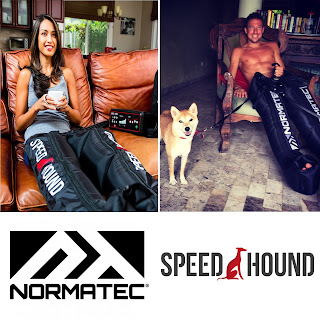 I don't have the typical long-torso, short legs, or big hands and big feet that are often required for efficient long-distance swimming, but I still come out of Ironman swims in the 48-54 minute range and often ahead of professionals that swam in high school and college. Truthfully I couldn't care less what people do. If you like doing flip turns then do flip turns. If you do open turns then do open turns. For the majority of triathletes, myself included, swimming is our weakness and we just need to swim more. Anything that takes time away from swimming is just a distraction. Regardless here are a few arguments I have heard against open-turns that I will try to debunk. 1) You look ridiculous doing open turns - I don't care, I'm not here to look cool, this isn't a popularity contest, and I'm not in high-school. 2) They are slow - I concede that yes they are a little slower than open turns in the pool, but how often do we do pool swim triathlons. 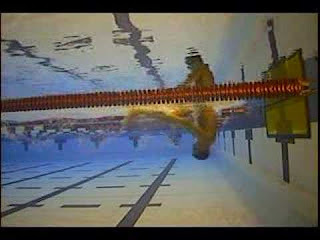 3) You don't learn to streamline properly - you can learn to streamline in an open turn or a flip turn. 4) You are causing a bottleneck at the end of the pool - I think people are making this one up. Nobody has ever complained about this after swimming with me for a single session. 5) It helps you control your breath - so don't breathe when taking an open turn and you will accomplish the same thing. 6) It causes additional shoulder stress - I haven't seen any scientific research that supports this. 7) You can't grab a wall in the open water and take an extra breath - last I checked you don't flip turn in open water nor do you push of a wall. 8) Open turns give people a false sense of security - No pool swimming session is going to replicate the true challenges of an open water swims. Even practicing open water swims isn't necessarily going to create the same anxiety and hysteria that sometimes sets in on race day. Best to get comfortable swimming in a pool before attempting open water. It is best to get comfortable swimming in open water before doing an actual race. 1) Chlorine hypersensitivity - some people have chlorine hypersensitivity and the chlorine in places like the nostrils will leave them highly irritated. 2) Vertigo and general dizziness - some people simply get sick and disoriented doing flip turns. Cut them some slack, not everyone is born with the same abilities. 3) Adds yards to the workout - by doing open-turns you are actually swimming further. If two swimmers both swim 4k, the open turner will swim further because they have to swim to the wall. More swimming, is the key to get faster for most. 4) Forces you to swim faster in a group setting. Because a good open-turn is a little slower than a flip-turn, if you open turn you will have to learn to swim faster, specifically coming off the wall to stay neck-and-neck with your flip-turning competition. This will make you a better and faster swimmer in the long run. 5) Open turns do not WET the pool deck - yes, flip turning wets the pool deck far more than open turns. Have you ever placed your bag where it was dry only to finish your swim and realize that your bag is wet. It was probably the result of either you or someone next to you flip turning. If you really want to get better at triathlon swimming then don't waste your time flip turning. Instead spend more time swimming. For some people variety is the spice of life, and although toys are not a replacement for straight swimming, they can be included to mix things up. 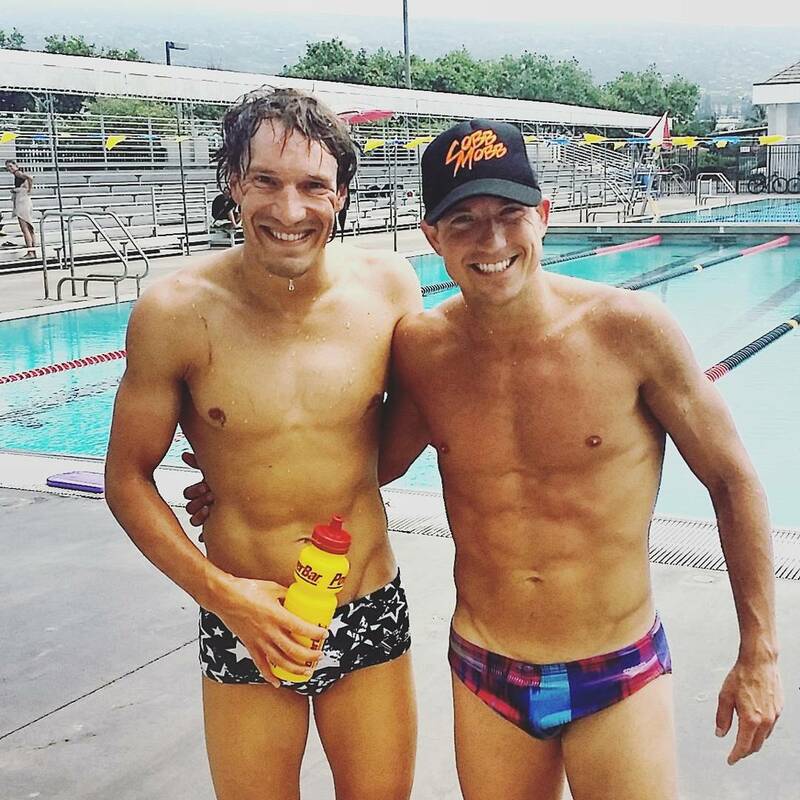 Here are a couple of "toys" that CAN help you become a better swimmer. 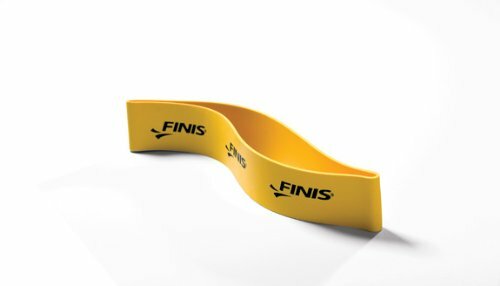 I have no relationship with Finis, actually I kind of dislike the company, but I use some of their products regularly. 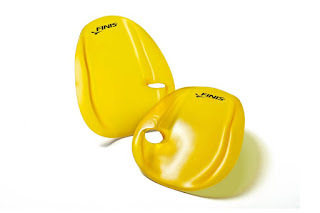 1) Finis Agility Paddles - if you want to use paddles, use paddles that help promote and reinforce good technique. The Finis Agility paddles do just that. They will fall off if used incorrectly. 2) Band swimming - band swimming adds drag to your body, and you must develop a more efficient catch/pull with less dead spots in your stroke to get from one side of the pool to the other. At first you can add the band to pull sets and gradually work toward band only swimming. First 25s, then 50s and more. You can make a band out of an old inner tube or you can also purchase a band such as the Finis Pulling Ankle Strap. Your stroke rate should increase with the use of band and that is quite alright despite what many "pure" swim coaches will tell you. 3) Finis Freestyle Swimmer's Snorkel - I think there is value in snorkels for many people. Specifically, I like to use snorkels in warm-up and cool-down as I am focusing on technique. They allow me to remove aspects of swim technique and focus more on other aspects of the stroke including the catch and pull, without incorporating breathing and rotation. I have used this particular one as it has a purge valve. 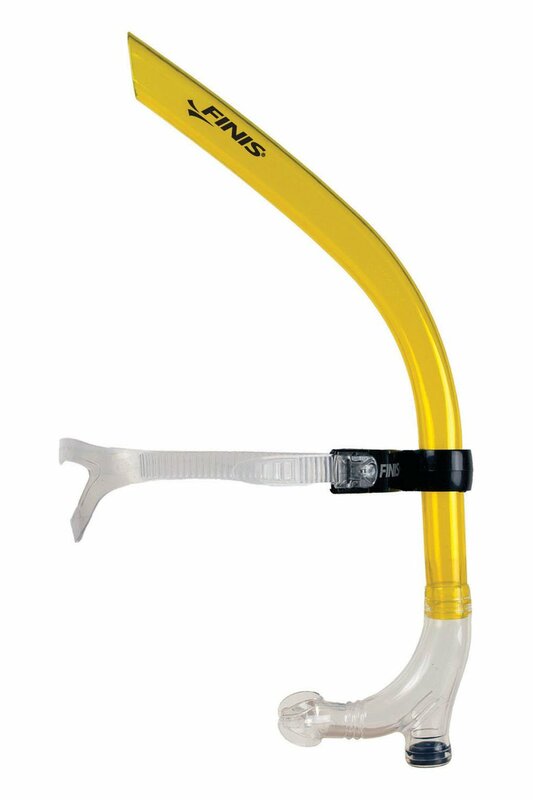 It is the best snorkel out there but there is still room for improvement. Hooray for the open-turners! My main reason for not doing flip turns is they are too disorienting for me personally. I get out of the swim a little dizzy as is and need no further contributing factors! I think I bike and run better as a result of open turns in pool swim tris (which I don't like to begin with...give me an OWS). Cort the Sport - hey thanks for the feedback. Yah that would be another thing beneficial for open-turners. Like I said I don't care which way people do it - as long as they get to the pool and swim. I just found this column via The Google because my GF told me today that her "swim coach" at the pool said she has to do flip turns if she wants to get faster at triathlon. He is, of course a swimmer, who has never done a triathlon in his life. Bob, send that coach here to read this, or have him contact me. There is no reason anyone has to do flip turns if they are just trying to be a triathlete. If you are a masters swimmer competing in meets then fine, but otherwise just let the swimmers swim. I just had a pre-emptive discussion with the University of Arizona - Ford Aquatics Master Program Director about this. I told him I don't do flip-turns, and I also don't do breaststroke kick. I will do dolphin kick with breastroke pull/catch. He had no problem whatsoever with that. This was the worst thing I have ever read. There are statistics that prove you time is cut SIGNIFICANTLY with flip turns. An average of 26 seconds per 100. And if you didn't realize, That is a lot. 26 seconds per 100 is a lot. Regardless the topic is about triathletes not swimmers. Nice article. I have struggled with learning the flip turn and have now just cut it out from the routine. I was watching Olympic 200M butterfly as I read this and noticed that half of the athletes IN A SPRINT RACE did open turns.